Welcome to Year 3 page. We would like to welcome the newest children to Four Lanes Community Junior School in Year 3. 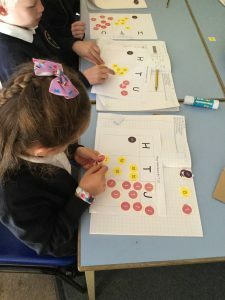 This is an exciting year as the children find their feet in their new school, new teachers, new routines and different curriculum. 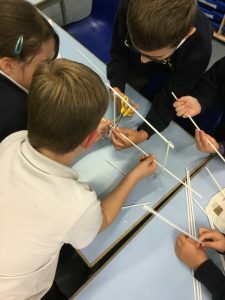 Here we introduce them to our school values and new ways of working, building on their existing knowledge and teaching them strategies to develop and flourish. However, we wanted to take this opportunity to tell you all about our DT project from the week before Christmas. You may remember that we asked you to help us by providing scrap and recycled materials for a project. 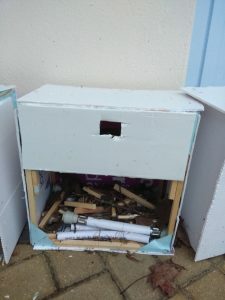 During the last week of the term, Year 3 then created the most amazing Bug Hotels! The children used rulers to measure accurately and saws to cut the wood. 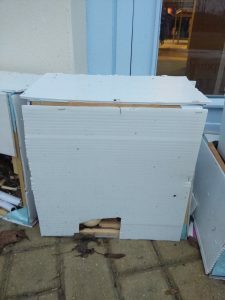 They made a frame from the wood, then using plastic sheets (recycled from house sale signs) they made the walls. 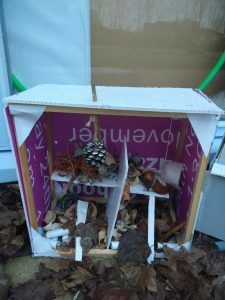 We used all the recycled materials we had been sent to create amazing interiors for our bugs to make their homes in. The children did an amazing job! We were all so proud of how well they worked in their teams. Some children were a little nervous about using the DT equipment to begin with, but showed great resilience and took risks to give it a go. 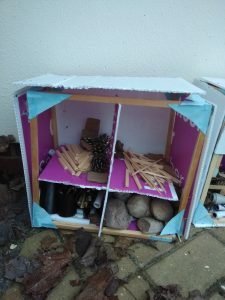 As you can see from the photos, the children created some fantastic designs. There has already been some sightings in some of our hotels. We hope our guests have enjoyed their stay! What a busy half term it has been! We’ve been really busy working hard in all our lessons. 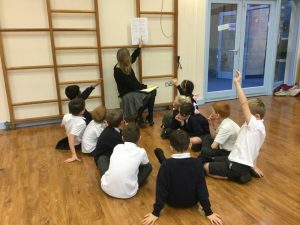 Using our knowledge of urban and rural areas (which we took from our Geography lessons), we were able to develop our own point of view. However, in order to develop this when we were debating, we had to think of good reasons to expand our ideas and elaborate our key points. 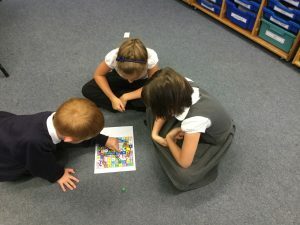 After practising hard in our own classrooms, we then joined together as a year group. We worked in mixed class groups to share our ideas, talk about our reasons and debate our point of view with each other. 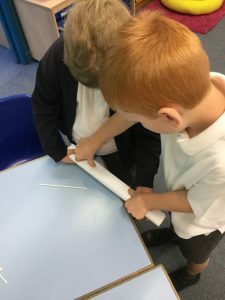 We were all really successful and some of use challenged ourselves even further to use some of our new learning when we talked. Some of us were able to use causal conjunctions, alternative openings for sentences or expand a point by giving another reason. We had a great time working together and our teachers were really impressed with our work. For our Big Write on Friday, we then used all our skills to create a persuasive piece of text. Since then, we have been working incredibly hard on our production. We had lots of great songs to sing and our Christmas jumpers and t-shirts looked amazing. We hope you enjoyed it! Over the first two weeks we have been exploring our school values and completing games and challenges to fully understand what these mean. Also we have been investigating E-Safety so we can be safe at school and at home when accessing the internet. Our main topic we will be studying is “Woodlands” where we can explore and discover our fantastic grounds through outdoor learning. The children would like to thank Mr Millard for taking time out of his class to help organise our Woodland Day and also to the parents who gave up their time to support them in the different activities.